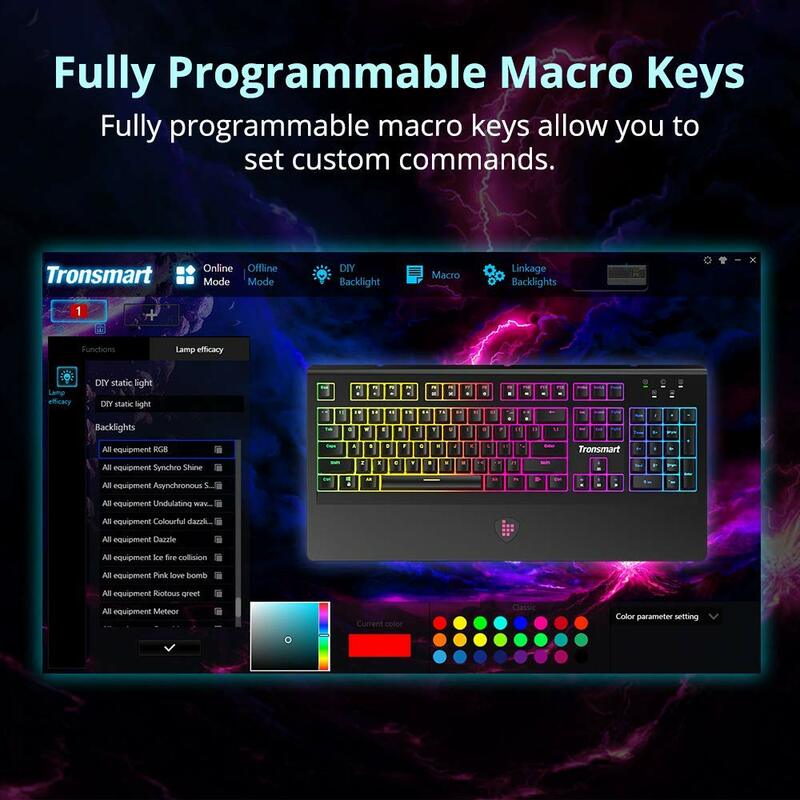 Amp up your game with Tronsmart Mechanical Keyboard specially made for Gaming with features like Radiant Lightning & Macro Keys Lock. 【16.8 Million RGB Backlight Colors & Customizable RGB Lighting】10 pre-set LED light effects, 5 customizable light effects. 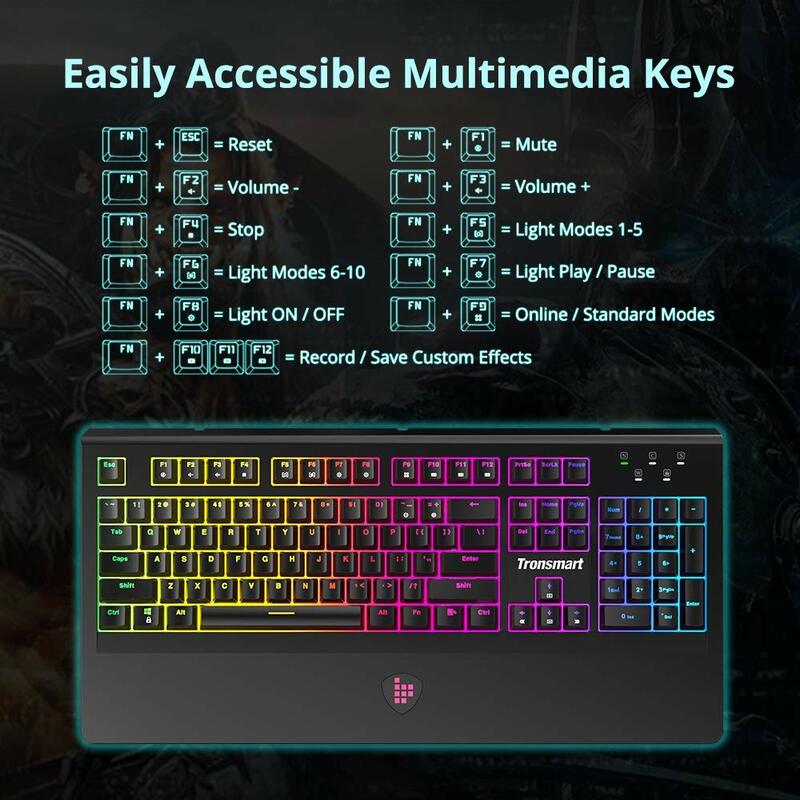 Improve the gaming experience by increasing the brightness of the keys during your games. 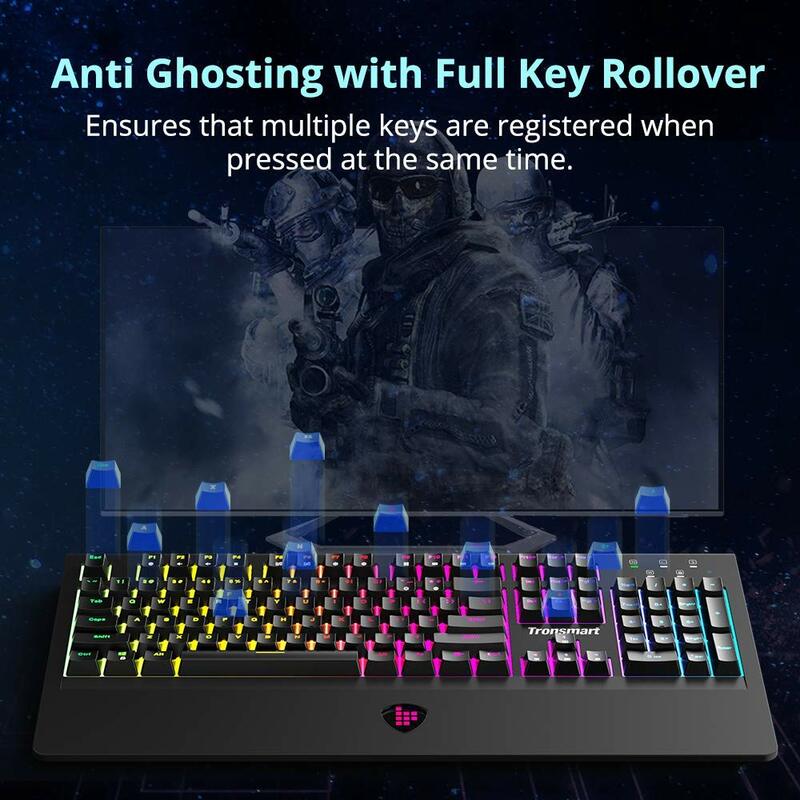 【104 Anti-Ghosting Keyboards and 8 MB of Built-in Flash Memory】 RGB mechanical keyboard with 16.8 million colors, built with floating keys and Blue Switches. Plug & play, without the need for a driver. 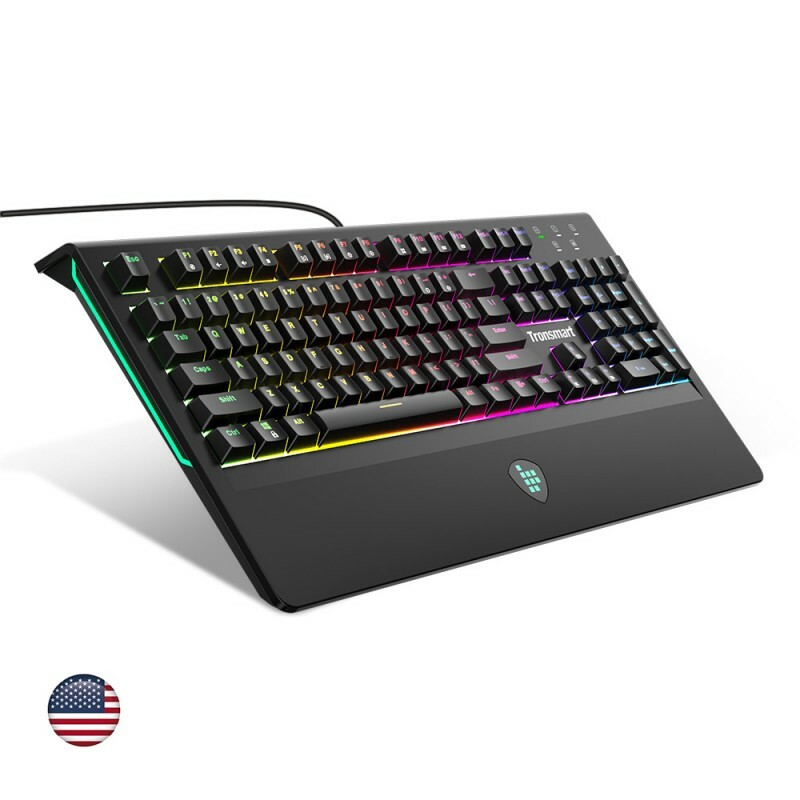 【Ergonomic Wrist Rest & Durable Key Switches】Palm & wrist rest design for ultimate comfort during gaming sessions. 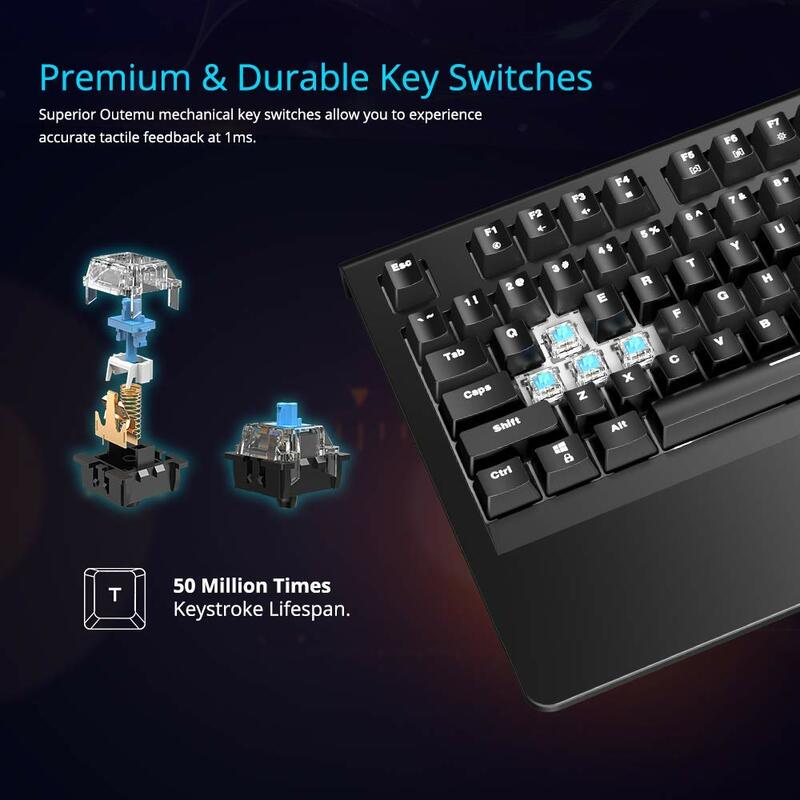 Superior Outemu mechanical key switches allow you to experience accurate tactile feedback at 1ms. 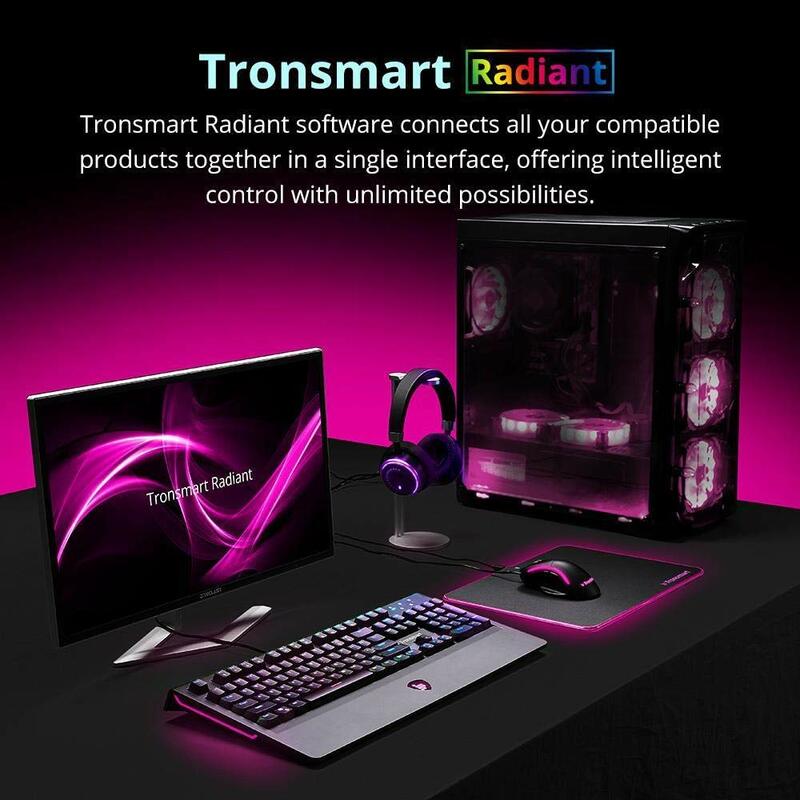 【Tronsmart Radiant】 Tronsmart Radiant software connects all your Tronsmart compatible equipments together in a single interface, offering intelligent control with unlimited possibilities. After many low quality keyboards, I finally decided to buy this Tronsmart mechanical keyboard. It is so good that I immediately went out and bought another one... Love the allmytech customer service and this product in particular, is highly recommended.